Episode 29: Don’t Quit, Just Do It!!! Don’t Quit, Just Do It!! 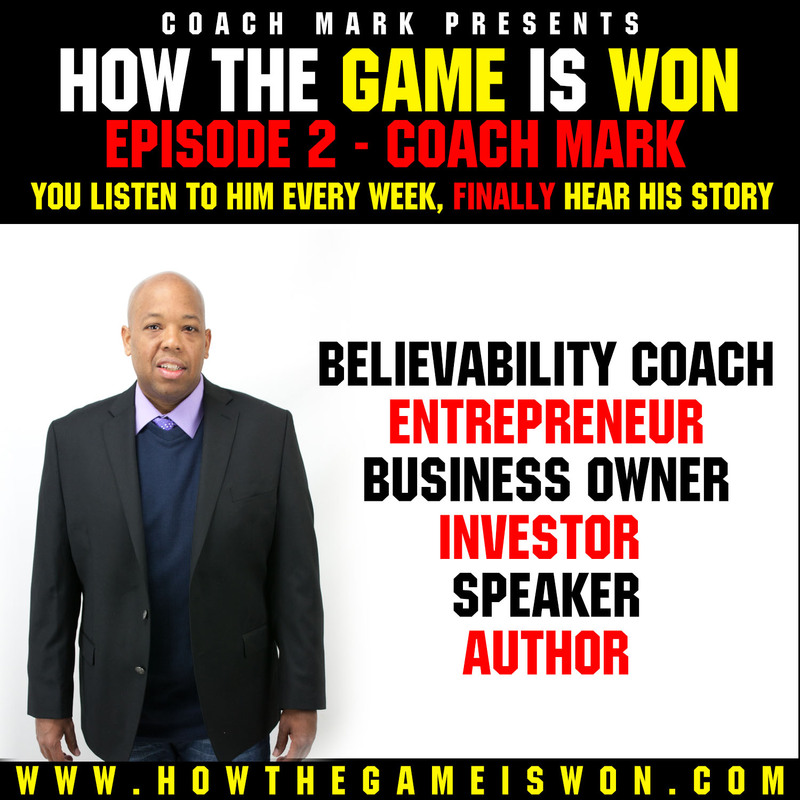 How The Game Is Won — Brand new interview series where Coach Mark interviews the most successful entrepreneurs and gets them to share their secrets to success. 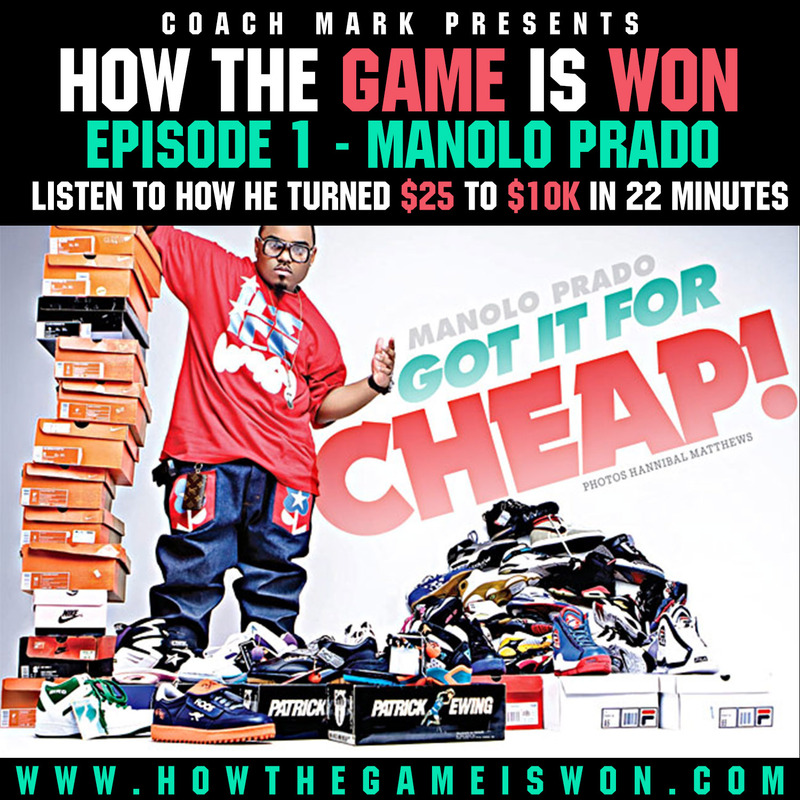 Custom Clothing Designer, Manolo Prado share how he turned a $25 investment into $10,000 in 22 minutes and $300,000 in a few months. His story is absolutely amazing. Life Changes When You Change… Life Doesn’t Have To Continue To Be A Drag.. Is It Time For A Change? 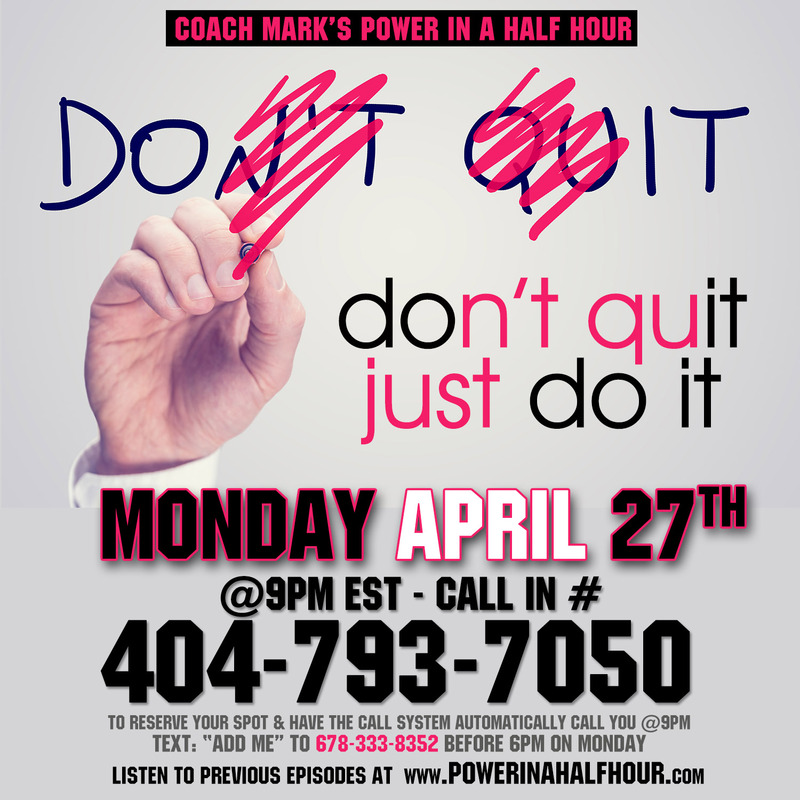 — Coach Mark’s Power In A Half Hour!!! 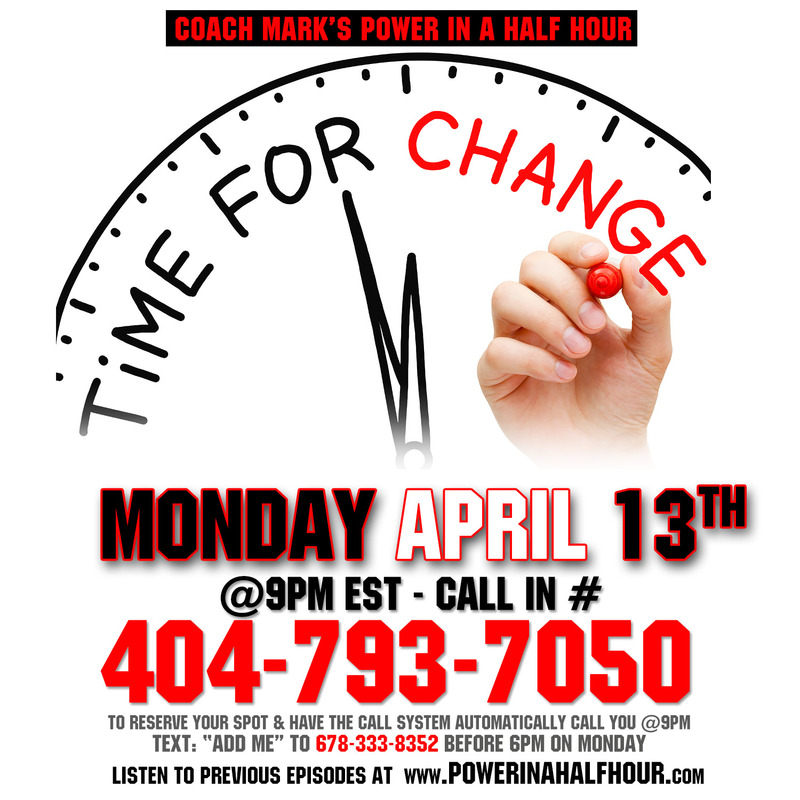 Monday, April 13th, 2015 @ 9pm EST, Call in # 404-793-7050 —When You Feel Stuck & Down & Out, The Most Comforting Thing To Know Is That You Can Change. Not Next Month, Or Next Year.. 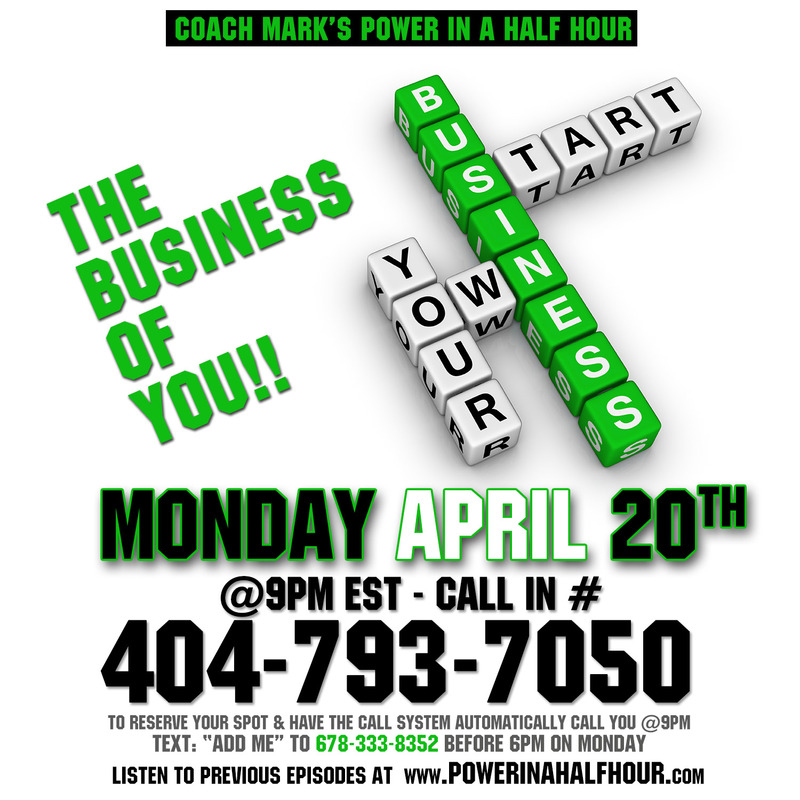 But Right Now… You Hold The Power To Instantly Make your Life Better Right Now.. Come Find Out Exactly How… Tune in this Monday Night. Success doesn’t come by Accident.. Success comes on Purpose!! — Coach Mark’s Power In A Half Hour!!! This is a free call with NO SELLING, NO PROMOTING ANY PRODUCT OR BUSINESS, Just Coach Mark sharing the success secrets that have helped him to retire successfully before the age of 40. 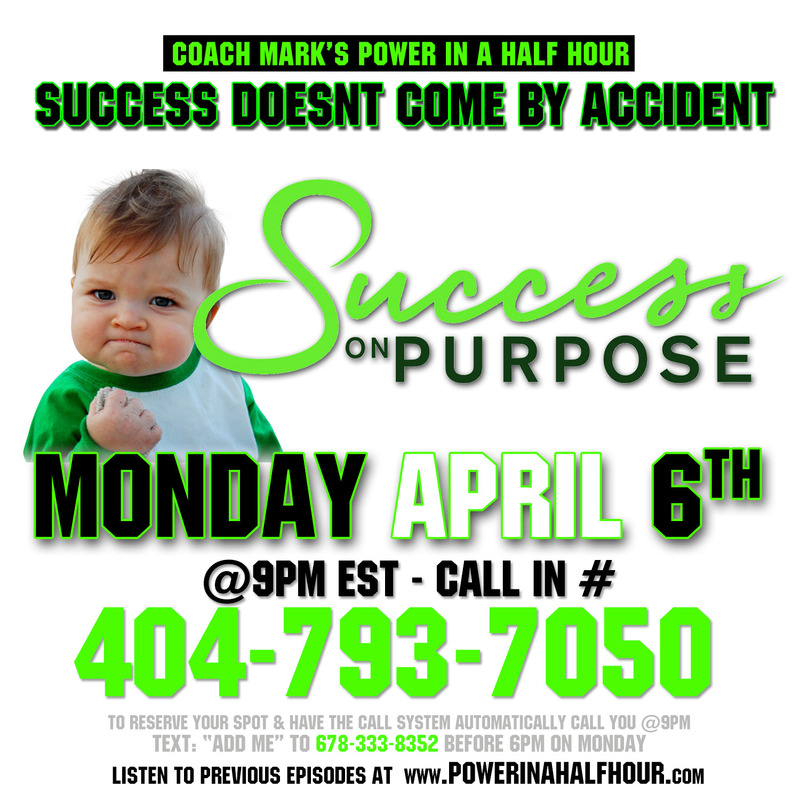 Monday, April 6th, 2015 @ 9pm EST, Call in # 404-793-7050 —Success doesn’t come by accident. Success comes from doing the right things, at the right time consistently. Success comes on Purpose.